Complex Says: In a freak accident during qualifying for the 2009 Hungarian Grand Prix, a suspension spring flew off the rear of Rubens Barrichello's Brawn F1 car directly ahead of Massa. It hit Massa in the helmet, and he flew off track and into a nearby tire wall at a speed of approximately 170mph. He then hit his head on the steering wheel of the car and was knocked unconscious. 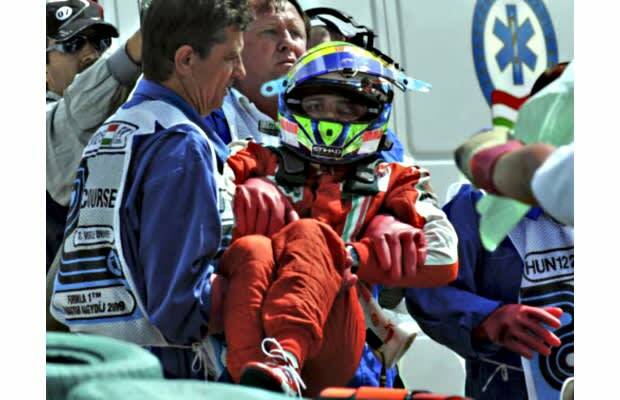 The severity of his injuries meant the doctors had to put him into a medically induced coma while he healed, and for a time, doctors feared that the damage to his left eye meant he'd never race again. But Massa proved doubters wrong and was fit and ready for the 2010 season. We're not sure we would be, after going out like that.